There were certainly the good times. 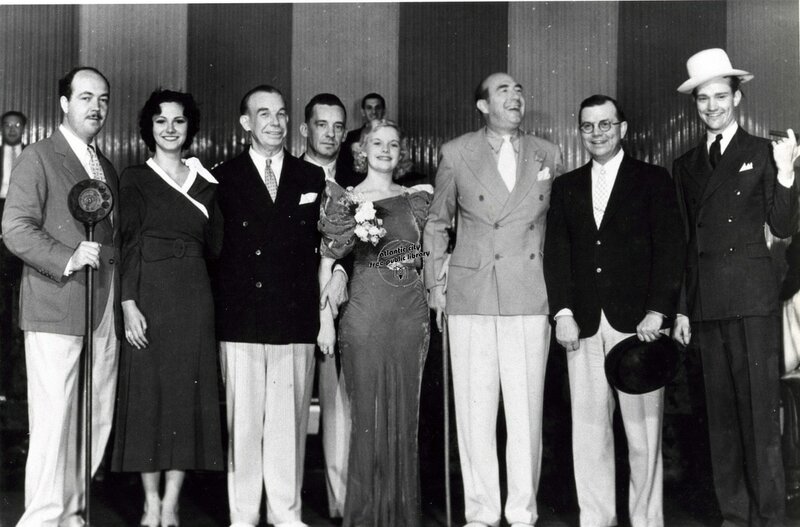 This 1930s photo featured famed radio announcer Norman Brokenshire left, an unidentified woman, Atlantic City Pageant director Armand Nicholls, an unidentified man, Miss America 1933 Marion Bergeron, Johnson, Joseph Kennedy Sr., and Red Skelton. Being at the top, however, is never a good thing, and Johnson’s name was mentioned frequently in a series of articles about vice in Atlantic City published in 1930 by William Randolph Hearst's New York Evening Journal. As a result, Johnson became the focus of a federal probe, and in 1933 a property lien was filed against him for additional taxes he owed on income earned in 1927. To add to his problems, 1933 also saw the repeal of Prohibition, which eliminated a major selling point for Atlantic City, as well as a major source of income for Johnson. Johnson was on the ropes, but still managed to keep the law away and maintain control. However, as his contemporaries began to die or go to prison, his power faded and on May 10, 1939, he was indicted for evading taxes on about $125,000 in income he received from numbers operators from 1935 to 1937. He no longer had the political clout, and a two-week trial in July 1941 ended with his conviction. He was given 10 years in federal prison and fined $20,000. On Aug. 1 of that year, Johnson, then 58, married Florence “Flossie” Osbeck, a former showgirl from Philadelphia, to whom he had been engaged for three years. Johnson’s first wife, Mabel Jeffries, whom he married in 1906, had died in 1912. On Aug. 11, 10 days after his marriage to Osbeck, Johnson entered Lewisburg Federal Penitentiary. Frank S. Farley succeeded him as the leader of Atlantic City's political machine and would go on to become a U.S. senator. Wedding Day, 1941. Just 10 days later he was in prison.